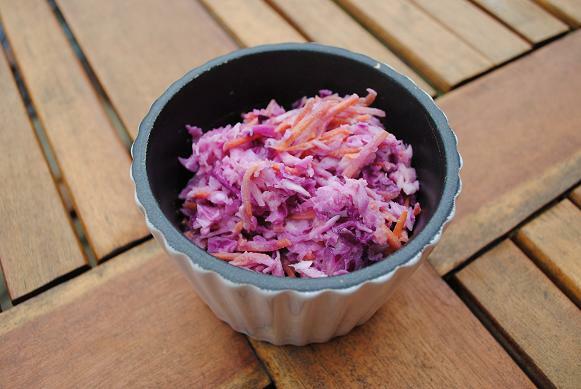 As with most ready-made things, coleslaw is unnecessarily unhealthy (when the main part of it is vegetables). It can be made at home very cheaply and you will save tons of calories and with the right seasoning it is just as tasty. This is a great side to so many dishes and is perfect at a BBQ. 1) Mix everything together in a bowl and it is ready. As simple as that. It is never going to taste exactly like shop bought, as like you say it is not covered in mayo – which is what gives shop bought its taste. The sharp taste is because of the greek yoghurt. You could always use half mayo and half yoghurt. Obviously it wouldn’t be as healthy as the original recipe, but it would be healthier than shop bought. Yogurt instead of mayo? I will try that.